The Danes in Copenhagen sure know how to do things right. They’ve got the best restaurant in the world, some of its finest architecture and a public transportation system any Torontonian would envy. On Tuesday, about 100 of us received the opportunity to enjoy an exceptional evening at the Gardiner Museum, where our province’s own phenom chef, Jamie Kennedy, teamed with one of Copenhagen’s greats, Paul Cunningham, to deliver a meal worthy of an award itself. Called “Cool Copenhagen,” the night was about filling in guests on the splendour of life in Denmark’s capital while indulging in some top-notch cuisine and first-rate music by A Friend in London, who are in Mississauga recording their debut album and have a growing fan base in Ontario. Kennedy started things off with a silky soup featuring pumpkin and sunchokes (or Jerusalem artichokes) harvested from his Prince Edward County farm on Monday. A sunchoke chip that crackled with flavour topped the dish, a terrific opener that was followed by the meal’s highlight: the Cunningham-prepared smoked mackerel and parsley salad that was salty and textured. The choice of fish was typically Danish (“we try not to overfish salmon and cod,” the Michelin-starred Cunningham told guests) but the presentation and flavours were distinct. Kennedy’s main course of Roast and Confit of Pork was served with brussels sprouts and beans from his farm. The roast pork was fabulous, with the tenderness of well-marinated duck and juicy flavours. Cunningham finished things with an interesting dessert of goat’s milk sorbet with a herb meringue that featured Chinese medicinal herbs as well as parsley and thyme. It was refreshing and impressively inventive. Cunningham, who owns Michelin-starred The Paul in Copenhagen’s famed Tivoli Gardens, got a taste of Toronto’s often-discussed diversity, telling guests he had the best mackerel he’s ever eaten at Yamamoto, the outstanding Yorkville teppanyaki restaurant. 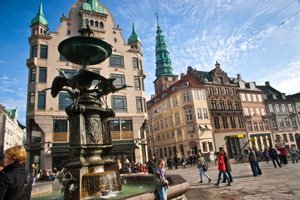 Visit Denmark and Air Canada partnered to host the event, which was held to promote travel to Copenhagen. I visited the city around this time last year. It is impressive for the reasons you would think: clean, efficient, easy to get around, excellent food, vibrant art and absolutely beautiful architecture that’s surrounded by pristine parks and delightful streets that run alongside canalways. Canadians, I think, will love it because it has European charm without the hassles of bigger cities on the continent. Rose peddlers won’t accost you and you’re not likely to be ignored by waiters because you’re not fluent with their language. Copenhagen is an expensive city, though. Be prepared for some pricey meals and shopping. 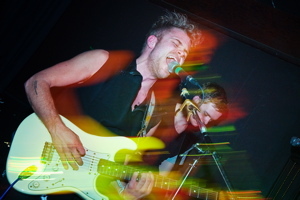 But as far as getting value for your money, Copenhagen, in most cases, won’t disappoint. Strange, but Denmark has never been on my travel radar, Adrian. 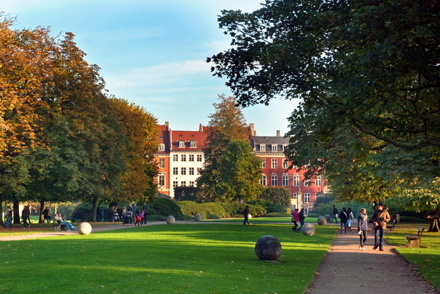 But after seeing Julia’s photos of King’s Garden and Stroget in Copenhagen, I might just have to rethink my travel wish list. Interesting that Denmark chose to court Canada for tourism; I wonder if there is a unique connection between the two countries that makes them think Canadians in particular would be likely tourists.